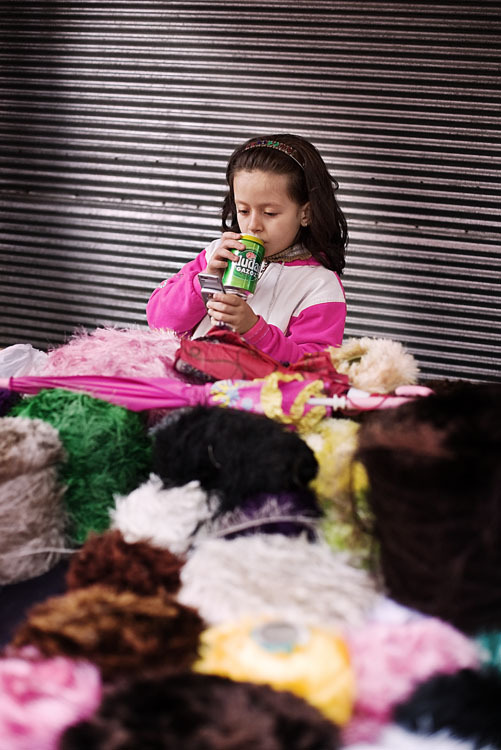 A little girl in a selling booth in the bazaar of Bursa, Turkey. I was saving this picture for some more post processing work. The main reason was that the jersey of the girl was orange. So it made the overall shot a bit weird with many colors that were not matching that well. I used the hue adjustment filter in CS3 to adjust the whole thing. I combined it with a gradient map to soften the overall colors and highlight mainly pinks and greens. Hope it works.